MANILA, Philippines – Cambodia has offered to sell at least 100,000 tonnes of rice annually to Manila as it faces a supply surplus, but no deal has been reached yet, the head of the Philippines state grain agency said on Friday. 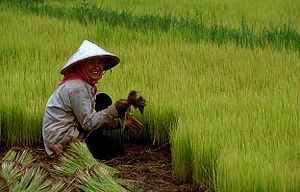 Angelito Banayo told Reuters Cambodia has a surplus of 1 to 1.2 million tonnes of paddy rice which it can sell to other countries. He said the Philippines, the world’s biggest rice buyer, was open to possibly purchasing the grain from its Southeast Asian neighbour.